Indicators addressed under Indirect economic impacts are covered by our responsible citizenship programme, and the Financial, Social Intellectual, and Human capitals. Barloworld’s Worldwide Code of Conduct sets out the group’s five core values. It determines how our aspirations and values are translated into actions and behaviours. Teamwork, one of our core values includes ‘We build outstanding long-term relationships with our principals, suppliers and customers…we look for principals and suppliers who demonstrate strong values and commit to ethical principles outlined in the Barloworld Code of Conduct’. Our code of conduct reminds us of the standards to which employees and the group are accountable, and consequently it also informs the group of what is to be regarded as material. 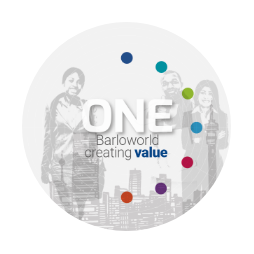 By operating in communities in which it operates, Barloworld creates significant value for local suppliers including Original Equipment Manufacturers (OEMs) and sub-contractors. This is reduced where plant and equipment can only be sourced from offshore principals, in which event the commitment is to spend the balance locally. In South Africa, Equipment division’s products are sourced from overseas principals resulting in some 50% local spend), while Automotive division sources vehicles through local OEMs resulting in 99% (including salaries and wages) of its spend being locally based. Sourcing varies by regions of activity and division. In Russia, given the nature of the Equipment business and sourcing Caterpillar product, some 40% of total spend is on local suppliers. Logistics business sub-contracts a large portion of its business to local contractors resulting in some 92% of its spend being locally based. Direct value for communities includes the group's support for enterprise and supplier development initiatives under Barloworld Siyakhula and other community investment activities. These principally benefit communities in South Africa, in excess of some R250 million in accumulated funds invested for enterprise and supplier development initiatives since inception. Indirect economic impacts include: employee spending, the provision of products and services, community development , and job creation, reducing demand on the fiscus and enabling resources to be redirected to other areas of the economy. In South Africa, an effective way of bringing previously disadvantaged groups into the economy is through procurement. Preferential procurement practices vary by business unit and are influenced by the source and nature of their requirements, as well as the Broad-Based Black Economic Empowerment (B-BBEE) status of represented OEMs/suppliers. c. The definition used for 'significant locations of operation'. Barloworld is committed to stakeholder value creation and supporting local communities as far as possible. A significant aspect of this spend is remuneration for locally resident employees. The number of employees by region who benefit from employment is reflected below. By operating in communities, Barloworld creates significant value for local suppliers including Original Equipment Manufacturers (OEMs) and sub-contractors. This is reduced where plant and equipment can only be sourced from offshore principals, in which event the commitment is to spend the balance locally. In South Africa, Equipment divisions' products are sourced from overseas principals resulting in some 50% local spend, while Automotive division sources vehicles through local OEMs resulting in some 99% (including salaries and wages) of its spend being locally based. Sourcing varies by regions of activity and division. In Russia, given the nature of the Equipment business and sourcing Caterpillar product, some 40% of total spend is on local suppliers. Indirect economic impacts include: employee spending, the provision of products and services, community development , and job creation, reducing demand on the fiscus and enabling resources to be redirected to other areas of the economy. In South Africa, an effective way of bringing previously disadvantaged groups into the economy is through procurement. Preferential procurement practices vary by business unit and are influenced by the source and nature of their requirements, as well as the Broad-Based Black Economic Empowerment (B-BBEE) status of represented OEMs/suppliers.